Glamorous entrance for this handbag in the Genoveva collection. 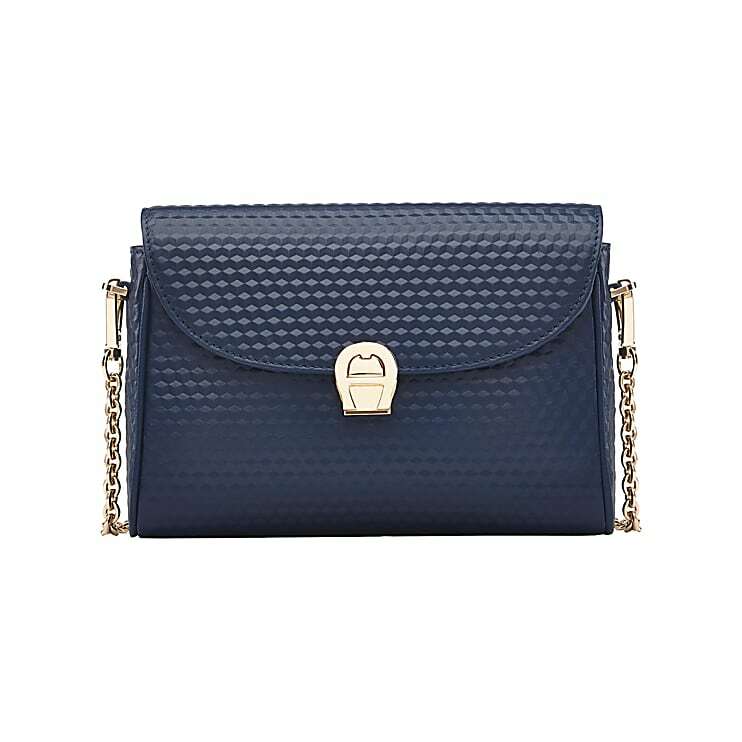 A decorative carrying chain and the sophisticated metal logo buckle make this bag a real gem. 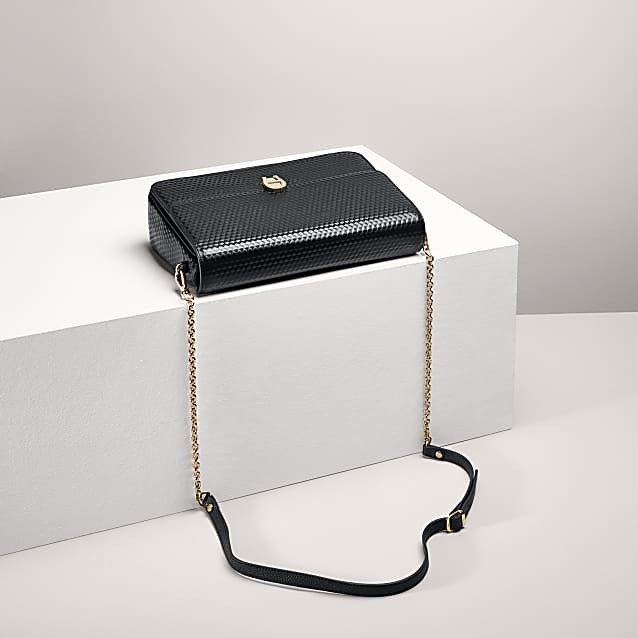 The pochette is reminiscent of classic AIGNER brand designs.